The Centre wants RBI to transfer Rs 3.5 lakh crore to the finance ministry for recapitalisation of banks and to meet its other fiscal needs and media reports say it would invoke the never-before-used Section 7 of the RBI Act that allows it to dictate policy to the central bank. This has been severely criticised by several experts, and a report in The Wire said it was “puzzling” since the actual contingency reserves on the RBI’s balance sheet is Rs 2.5 lakh crore which is roughly 6.5% of the central bank’s assets. “So one doesn’t know the origin of the Rs 3.5 lakh crore figure being cited by finance ministry,” said The Wire. However, other media reports said the finance ministry is seeking to transfer a surplus of Rs 3.6 lakh crore, while the RBI reserves are Rs 9.59 lakh crore. The amount sought by the Centre amounts to more than a third of these reserves, these reports said. The RBI has rejected the proposal stating that such a move could have an adverse effect on the macroeconomic stability and with low capital, RBI could end up losing its credibility, The Indian Express (IE), citing sources, had reported earlier. What is more, according to IE report, sources said the ministry proposed that from 2017-18, the RBI should transfer the entire surplus to the government after taking into account its capital requirement. This is another area where the government and the RBI differ. Reuters reported yesterday that according to three sources familiar with the government’s thinking, the Centre intends to keep pressing demands for the country’s central bank to relax lending curbs and hand over surplus reserves even if it risks provoking a resignation by the bank’s governor. While there appeared to be a partial truce last week when the government said it respected the autonomy of the RBI, the sources said the government will turn up the heat at the bank’s central board of directors meeting on November 19. 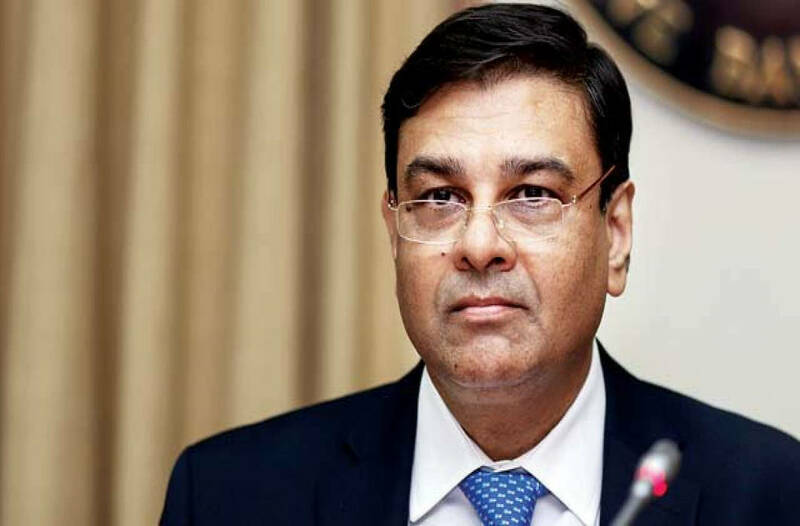 RBI Governor Urjit Patel will be a key focus of the pressure from a group of directors who support the government’s position, according to the New Delhi-based sources, who declined to be named due to the sensitivity of the matter, said the Reuters report. Investors and traders warn that if Patel quits it will create uncertainty and undermine India’s already-weak financial markets, the Reuters report said. They have been hurt in recent weeks because of defaults by a major financing company. Tensions between the Centre and RBI came to the fore last month when RBI Deputy Governor Viral Acharya gave a speech that blew the lid off a fractious dispute between the bank and the government of Prime Minister Narendra Modi on issues ranging from lending curbs to who controls the institution’s reserves. Acharya said that undermining central bank independence could be “potentially catastrophic”, and he even cited meddling by the Argentine government in the affairs of its central bank in 2010 – prompting big drops in that nation’s financial markets – asa sign of how bad things can get. The Finance Ministry is seeking to transfer a surplus of Rs 3.6 lakh crore, more than a third of the total Rs 9.59 lakh crore reserves of the central bank, to the government, said Reuters. The government feels RBI has over-estimated its capital reserves requirements resulting in excess capital of Rs 3.6 lakh crore. That’s why, said the Reuters report, it has proposed these funds be used to recapitalise public sector banks, help them expand their loan book and come out of the Prompt Corrective Action framework. The RBI, however, feels strongly that using central bank reserves has pitfalls. The ruling BJP is also keen to reduce curbs on the shadow banking sector and increase overall lending to small and medium-sized businesses. The aim is to help offset economic headwinds from low farm prices and high fuel prices ahead of a general election due by next May and key state elections in a few weeks. “We will do everything to protect the interests of the economy,” one of the members of the RBI central board told Reuters, noting the governor and his team would have to “explain, defend and justify” their decisions at the board meeting. It is unclear, though, how the government will seek to exert pressure through the RBI’s Central Board as the body is a largely symbolic one, which has never had a direct say in the bank’s directives and policies, according to two additional sources with knowledge of the law under which the central bank operates. “The role of the board has typically been to supervise the workings of the RBI, like internal audit and recruitment. But the RBI is not really accountable to the board for regulatory and operational issues,” said one of the sources, saying this would only change if the government invokes Section 7 of the RBI Act. “Patel and his team must recognise the period of an invisible RBI board is over,” one of the New Delhi-based sources said, noting that the RBI will sooner or later have to fall in line. Patel’s predecessor Raghuram Rajan defended the RBI’s call for autonomy saying that the central bank’s responsibility is to secure financial stability and it has the right to say “no” to government proposals that could lead to instability. “The RBI is something like a seatbelt,”Rajan, who is a professor at the University of Chicago Booth School of Business, told CNBC-TV18. “As a driver, being the government, it has the possibility of not putting on the seatbelt, but of course, if you don’t put on the seatbelt, you can get into an accident which can be quite severe,” he said. NR Bhanumurthy, an economist at the National Institute of Public Finance and Policy, a New Delhi-based think tank that is partly funded by the finance ministry, said the RBI and the government were dealing with the same problem though there was a difference of opinion on how to solve it. Reportedly, it was only in the last few weeks that the government has threatened to invoke its most lethal weapon, Section 7 of the RBI Act. According to the Act, the government may from time to time, the government may give directions to the RBI, after consultation with the governor on matters of public interest. While the Finance Ministry in its press statement did not explicitly state the section, but the usage of words like “public interest” did shed light on the ongoing tussle between the two entities.